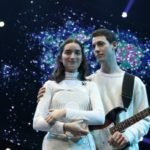 Slovenia’s public television made an announcement providing a few more information about this year’s EMA, the country’s national final for Eurovision Song Contest. Eight songs will compete in the final of EMA 2018 on February 24th, one day later after the day that it was expected according to the initial press reports. A week before the final, on February 17th, the semi-final will take place, including the 16 songs that have already been announced. 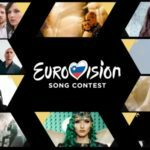 Only 8 of the 16 songs of the semifinals will qualify for the final. Four of them will be selected by public vote and four by the jury. The presenter of EMA 2018 will be Vid Valic. WHEN ARE WE GOING TO LISTEN TO THE 16 SONGS? From February 5th until February 8th, all entries will be heard at Radio Val 202, where four songs will be aired each day. Subsequently, the 16 artists will present their participation in a small interview. Within 16 participants we can find some old acquaintances. ManuElla, who is competing this year with the song “Glas”, represented Slovenia in 2016 with the song “Blue and Red”, but without getting the ticket to the final. 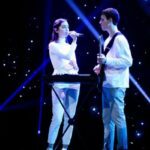 Also, in this year’s national final, BQL are competing with the song “Ptica”, having reached the second place in the national final the previous year. Nika Zorjan also participates, acquiring the fifth place in last year’s national final. The songs of the last two are composed by Maraaya, who represented the country in 2015, getting the 14th place in the final with the song Here For You.